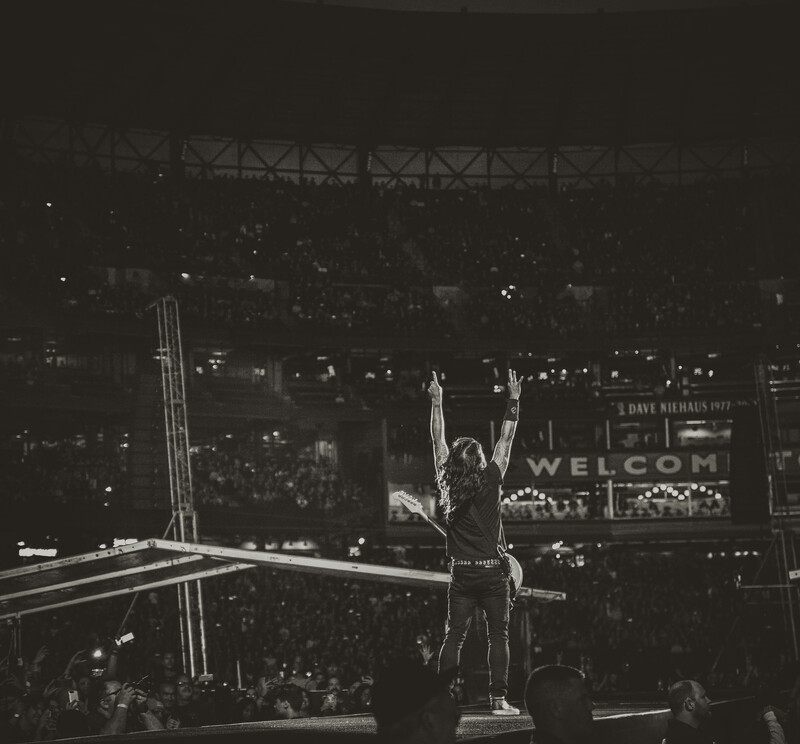 Safeco Field never sounded so sweet! 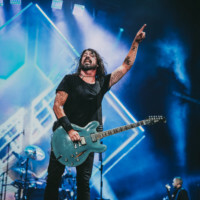 On Saturday September First. 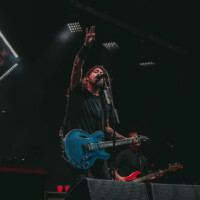 Local heroes The Foo Fighters took to the stage to perform in front of 48,000 passionate fans at Safeco Field. 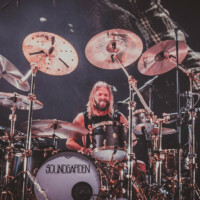 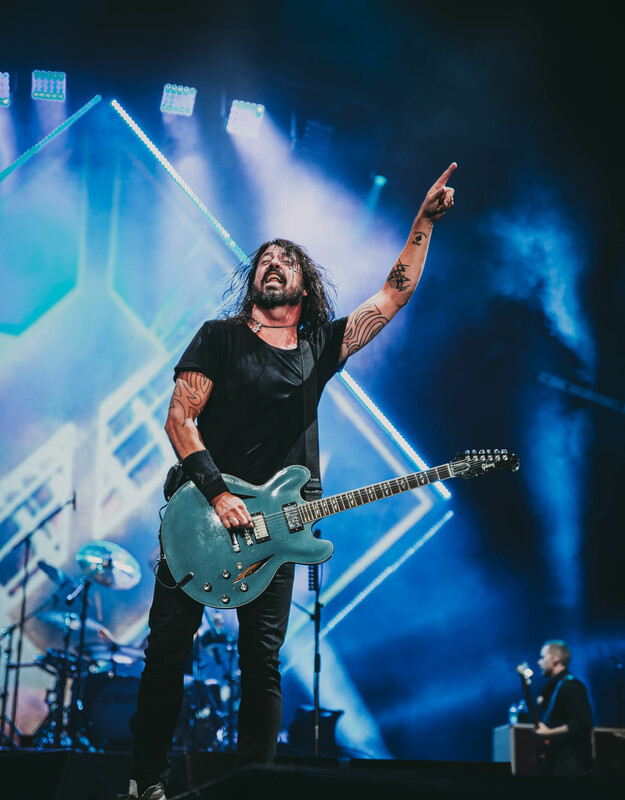 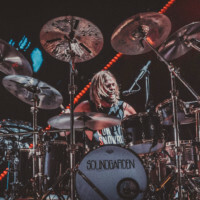 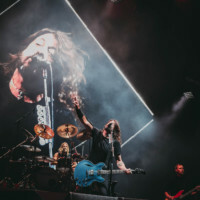 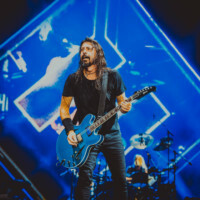 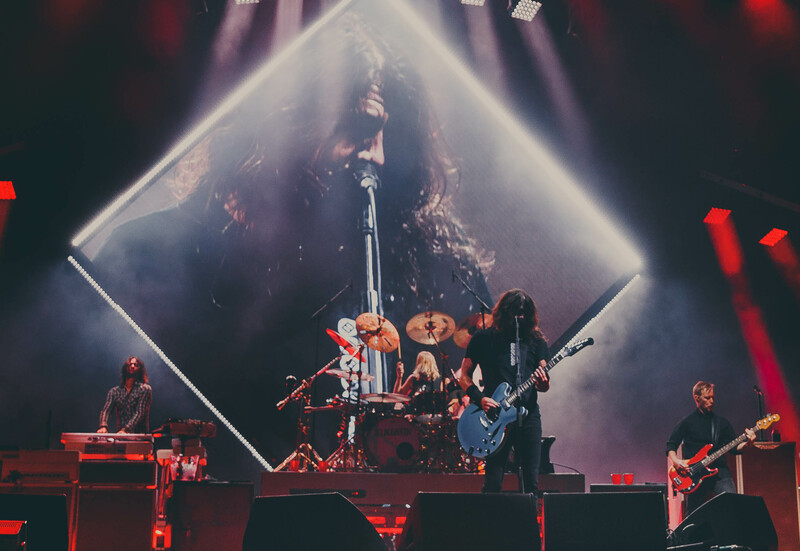 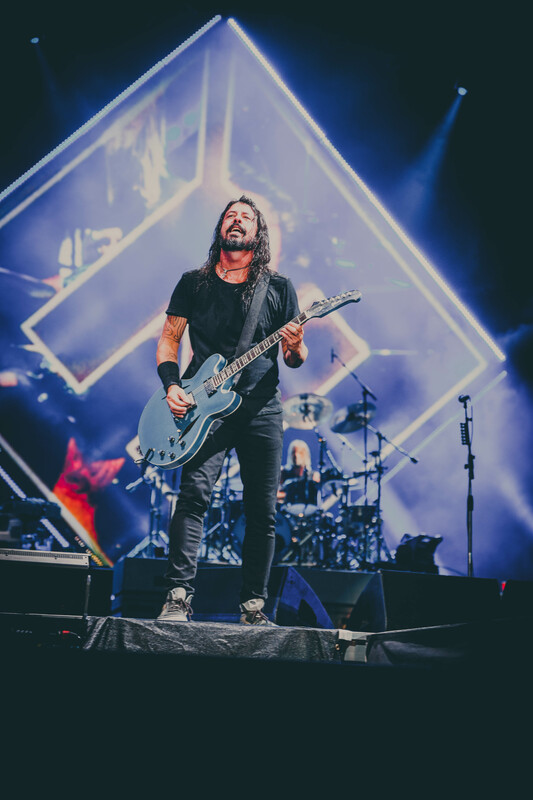 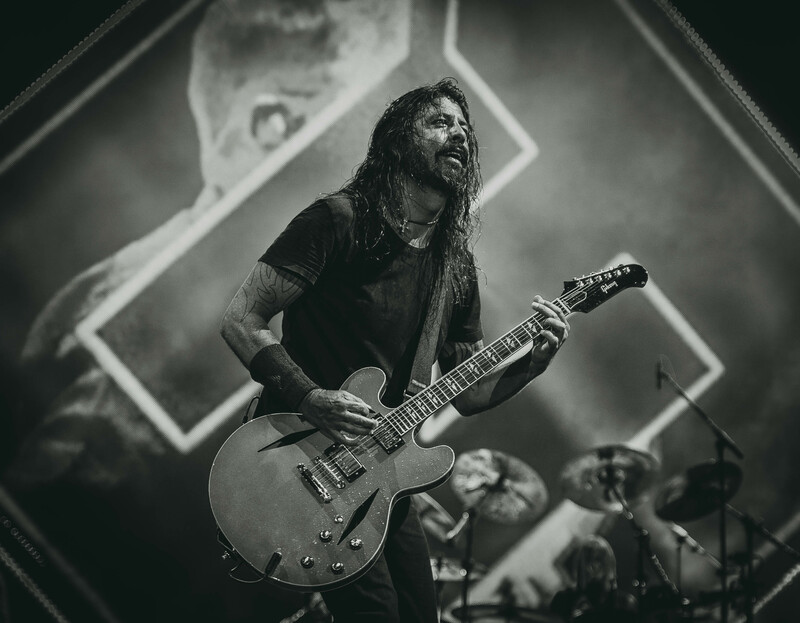 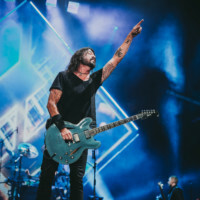 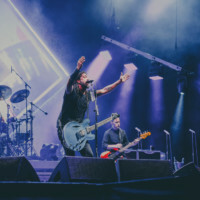 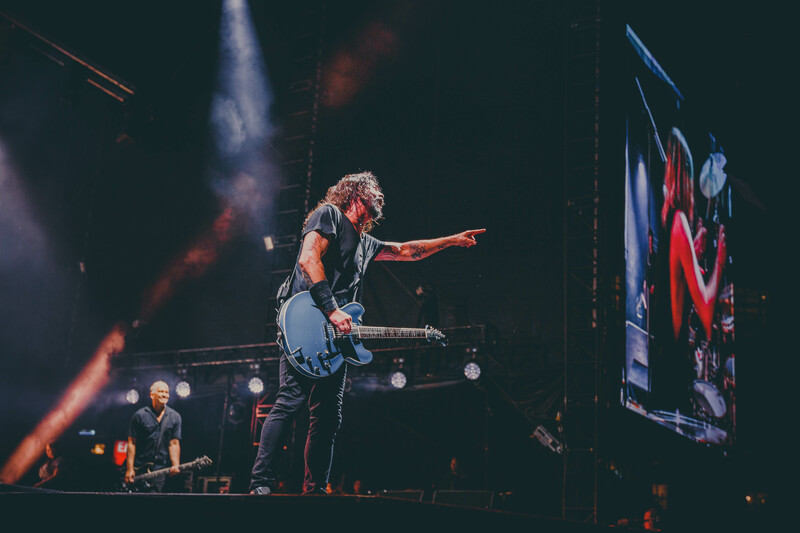 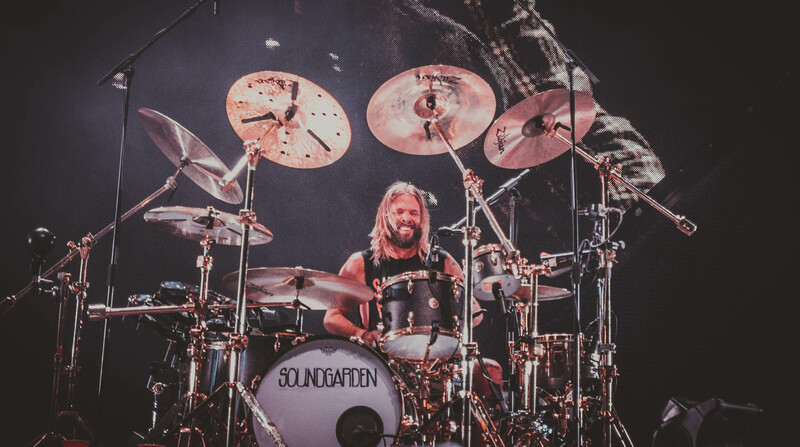 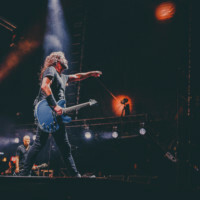 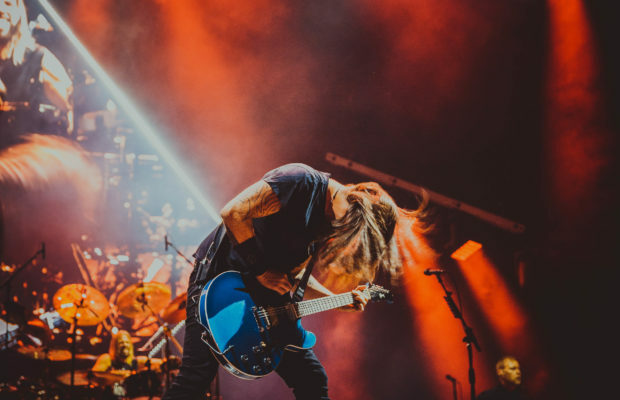 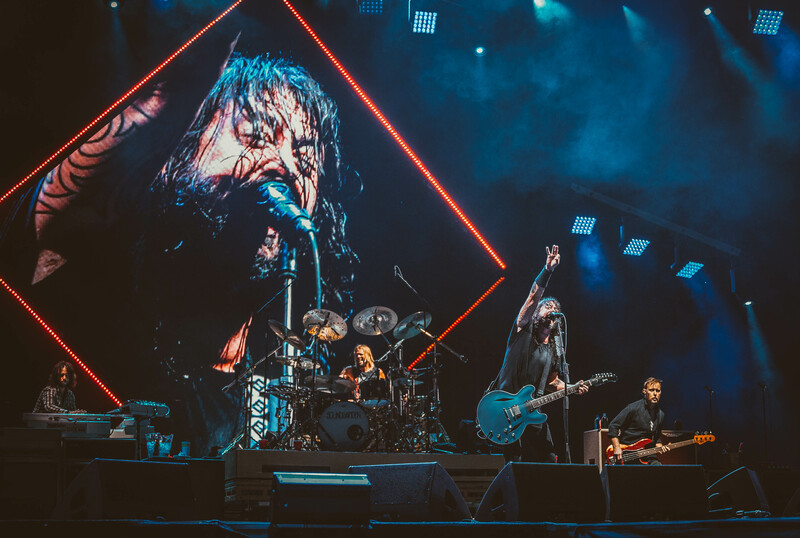 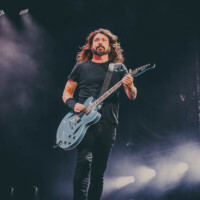 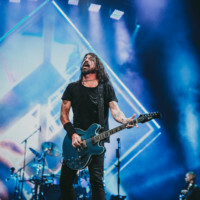 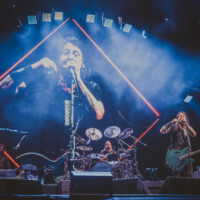 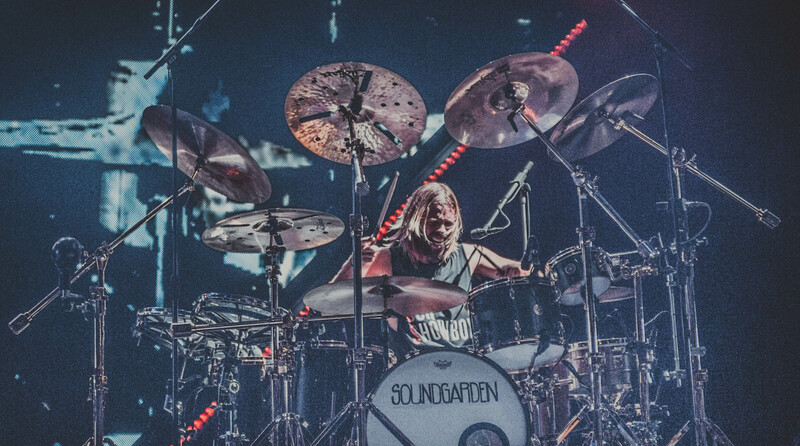 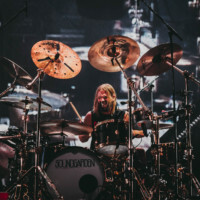 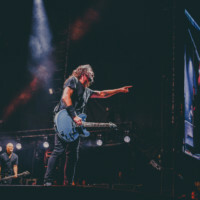 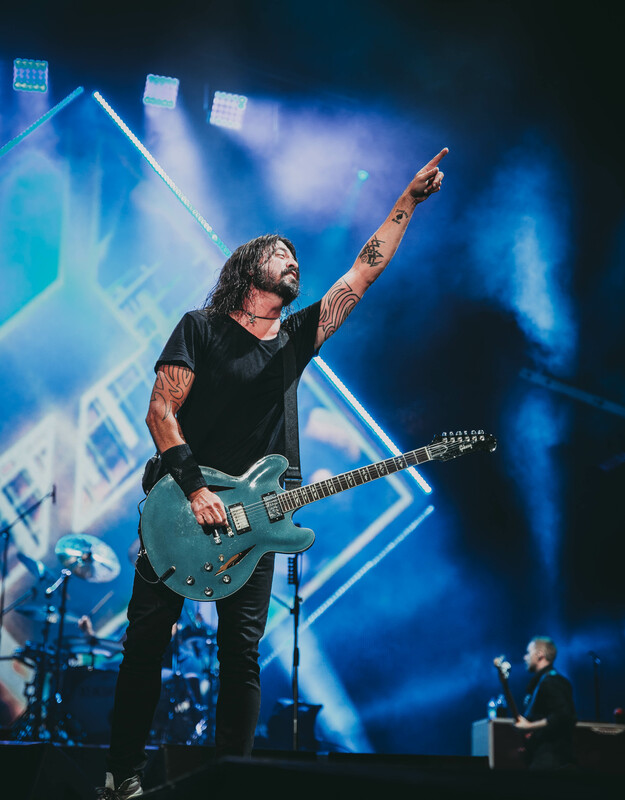 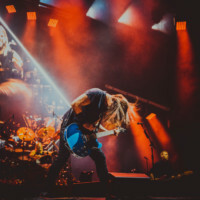 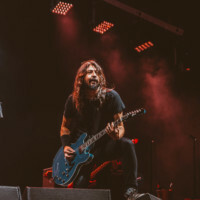 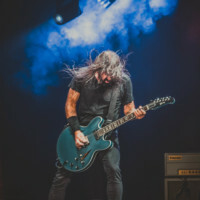 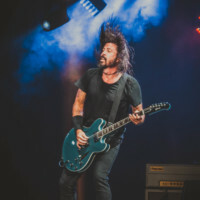 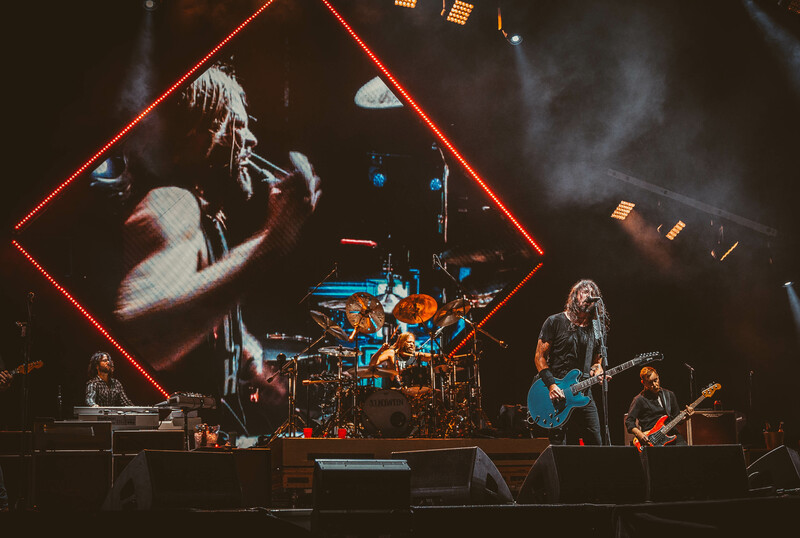 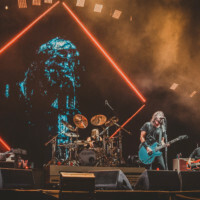 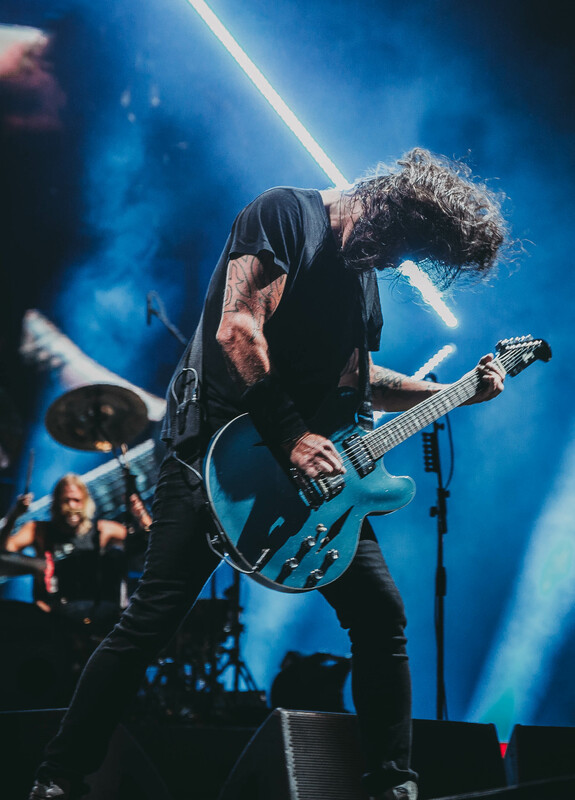 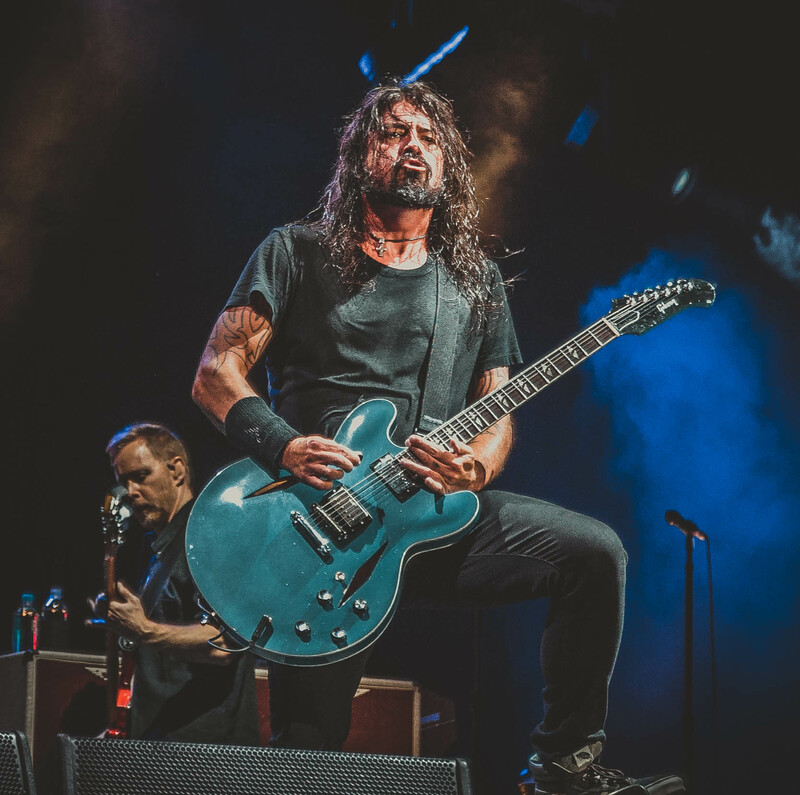 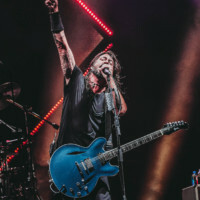 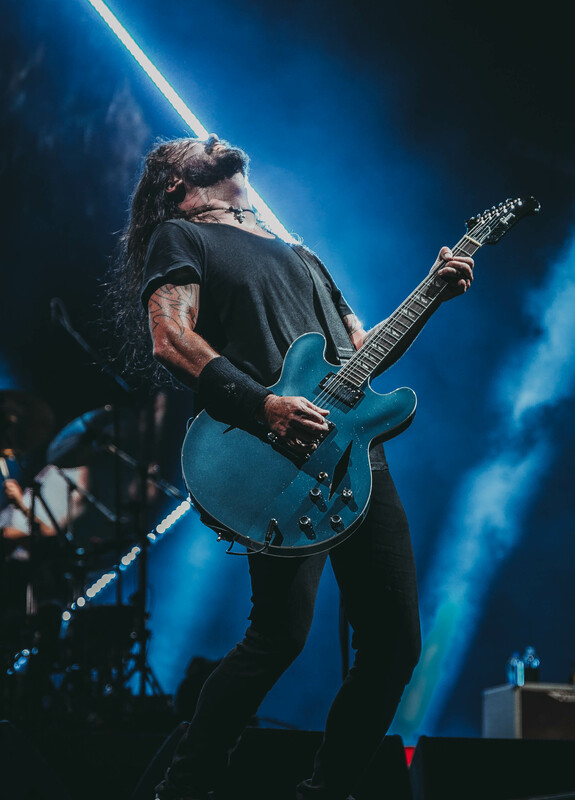 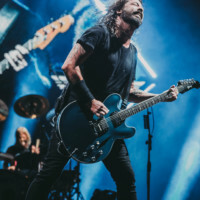 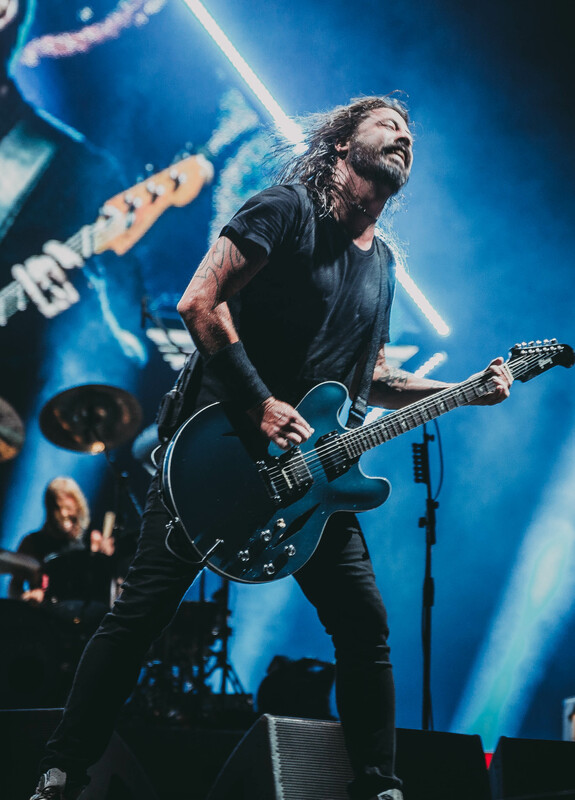 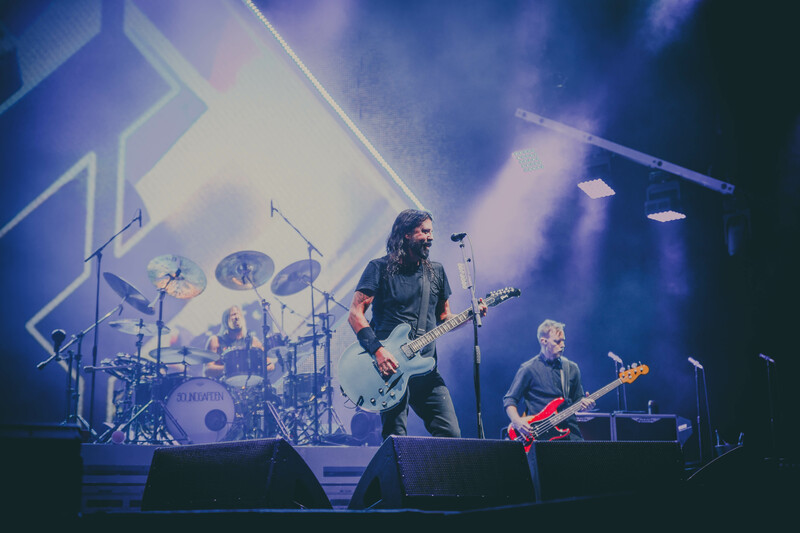 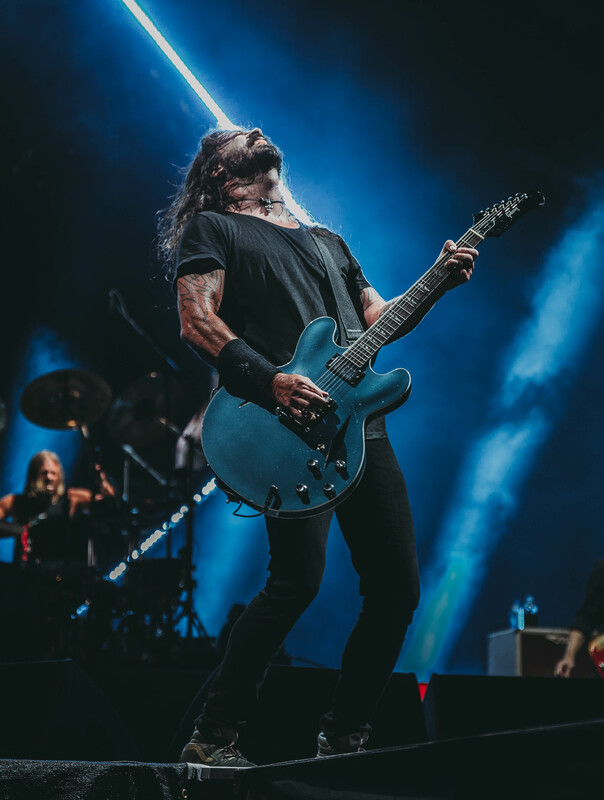 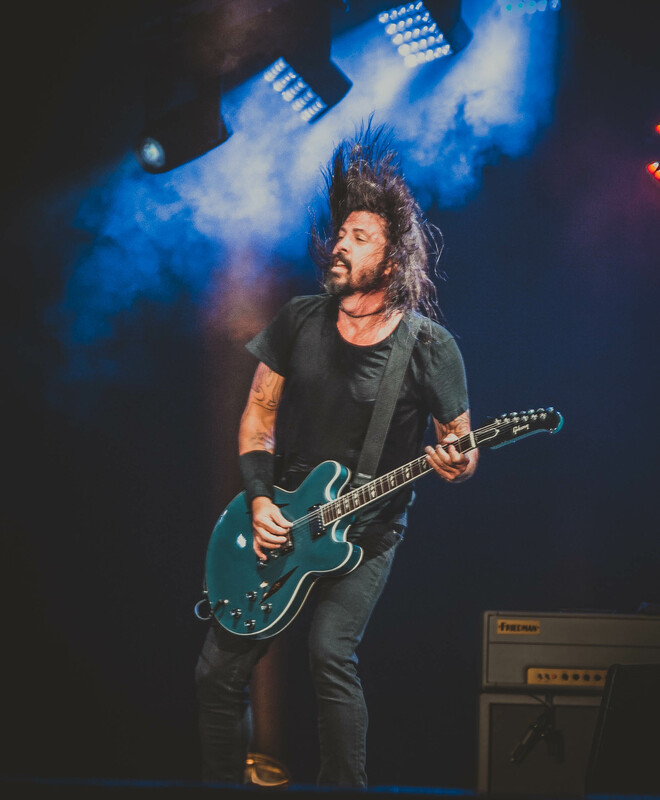 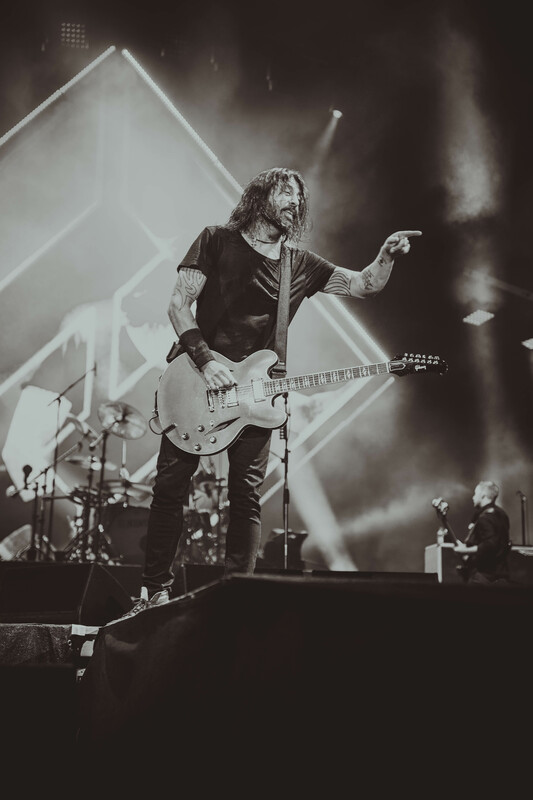 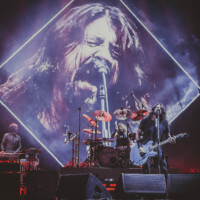 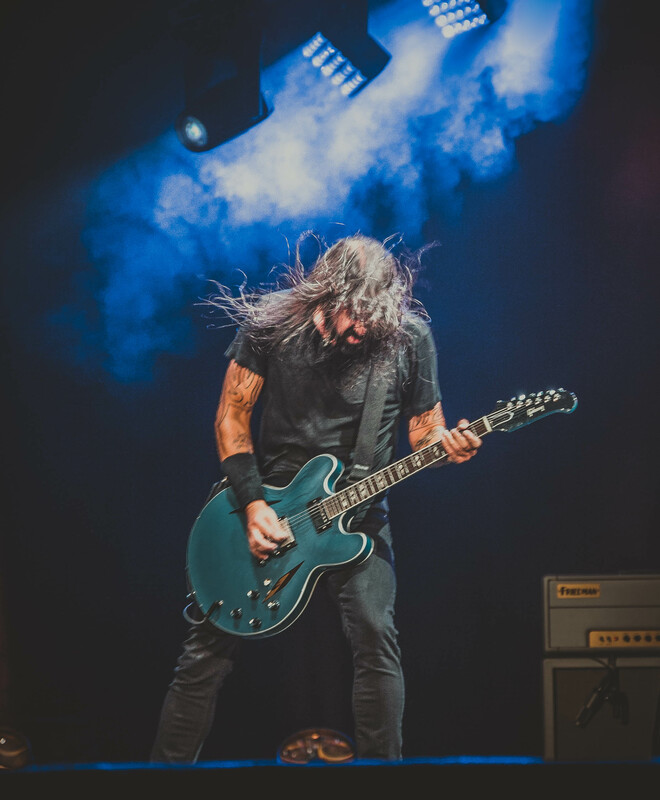 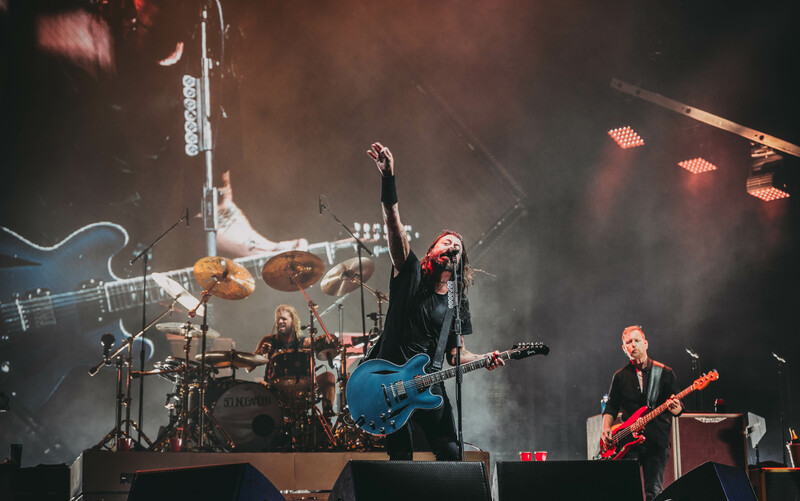 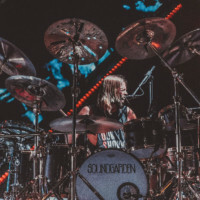 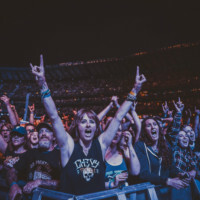 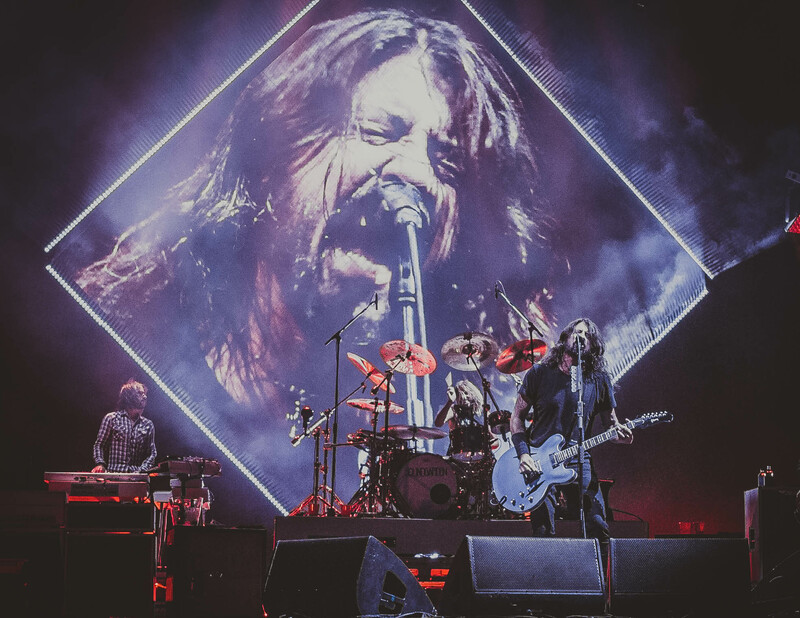 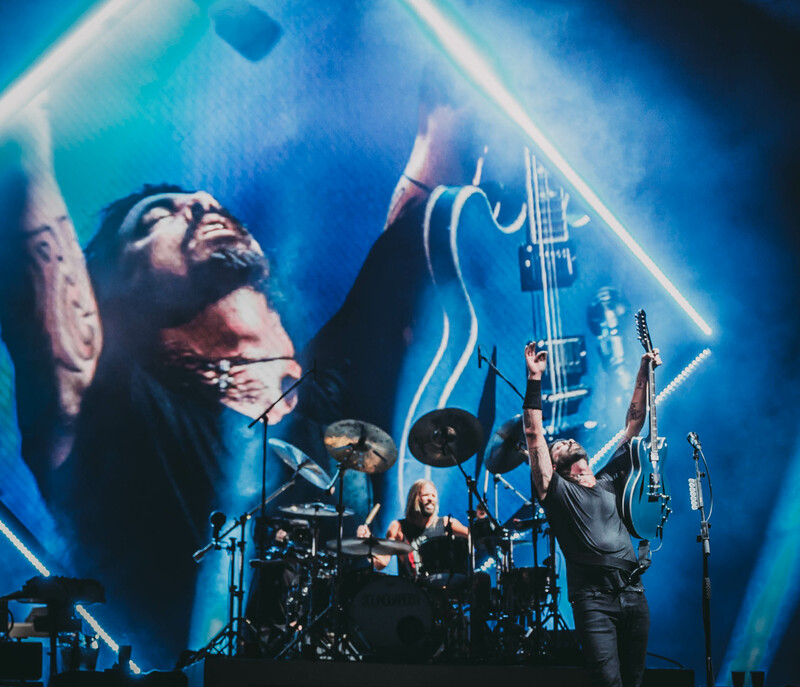 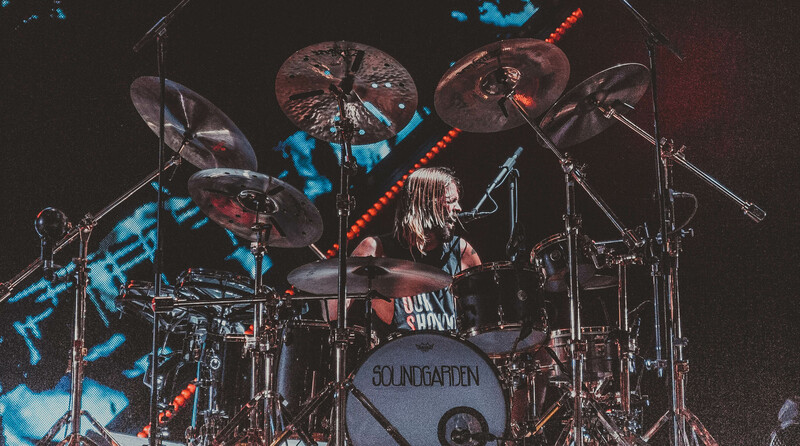 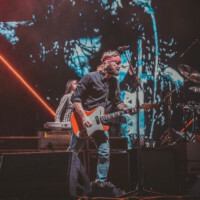 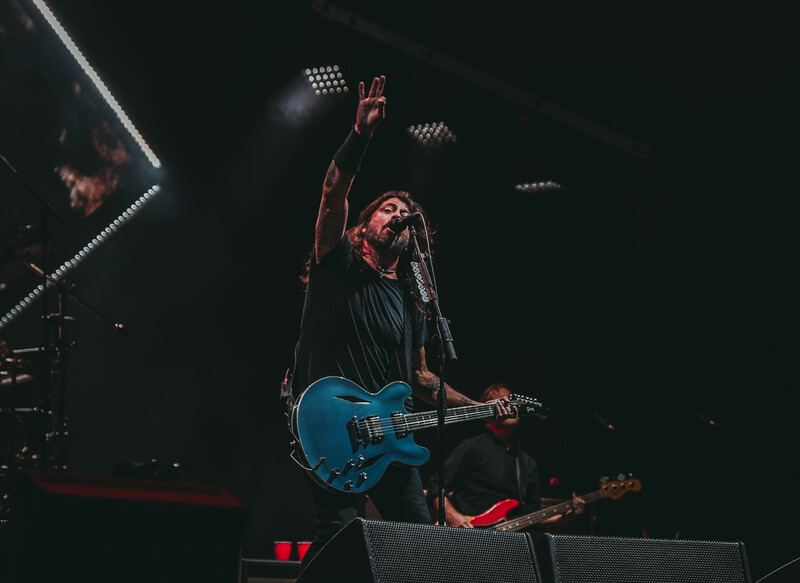 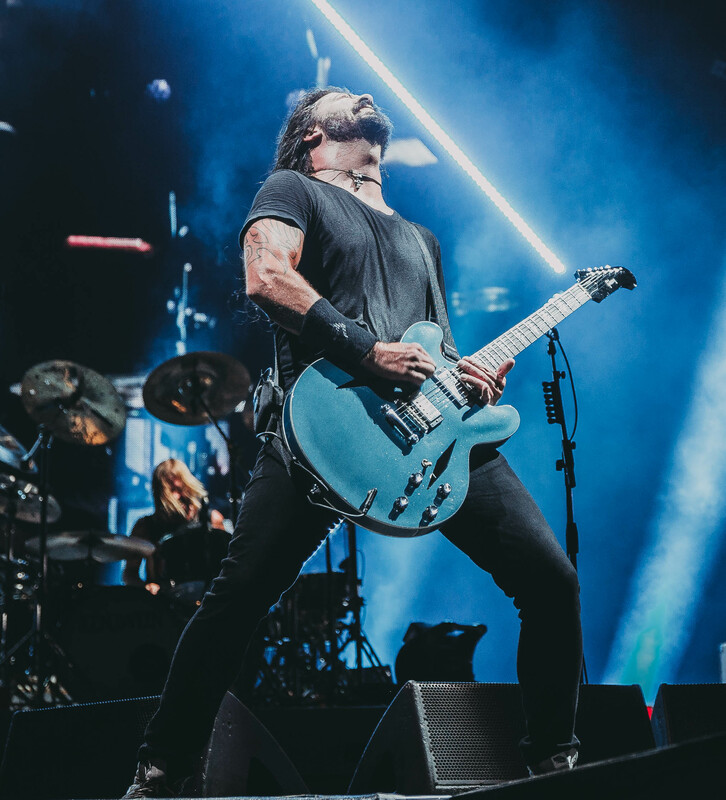 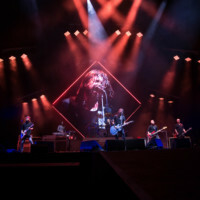 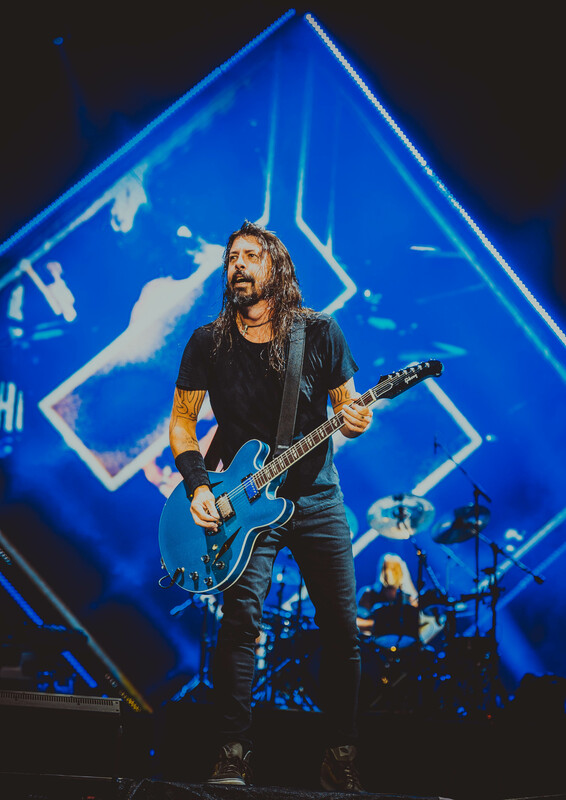 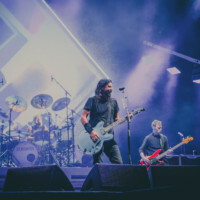 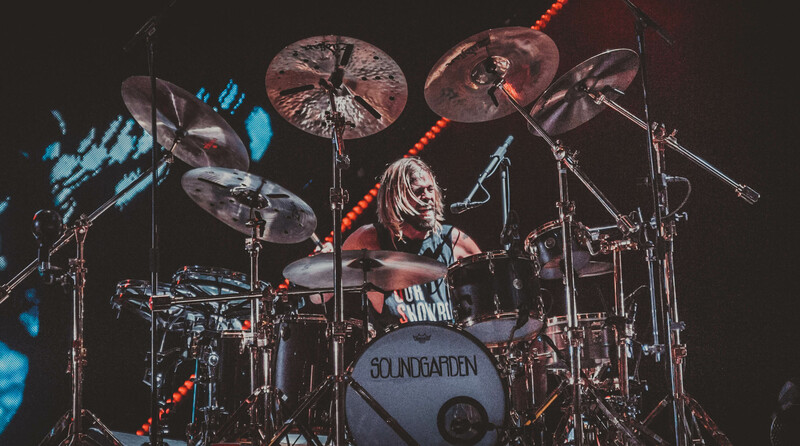 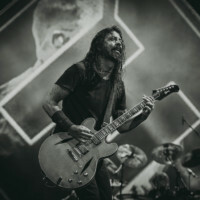 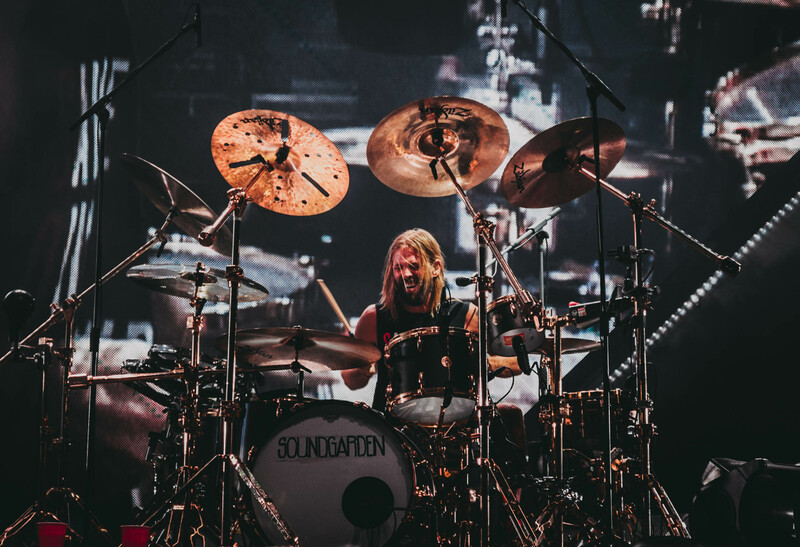 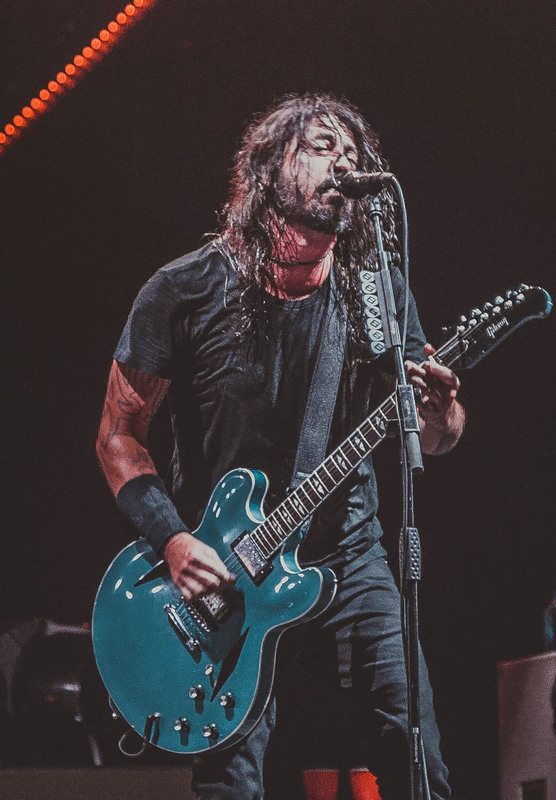 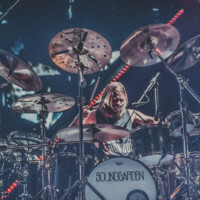 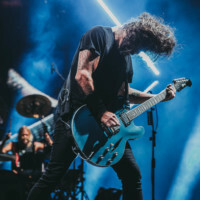 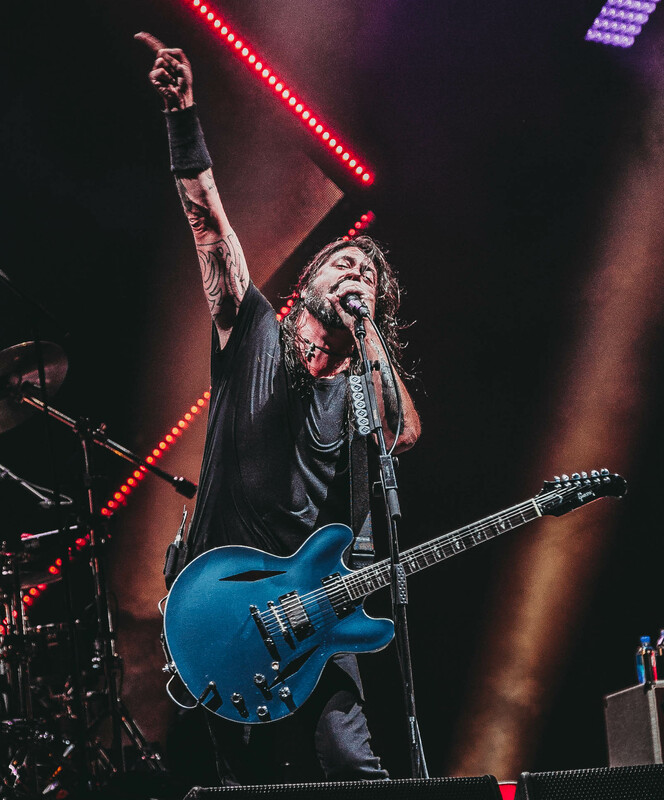 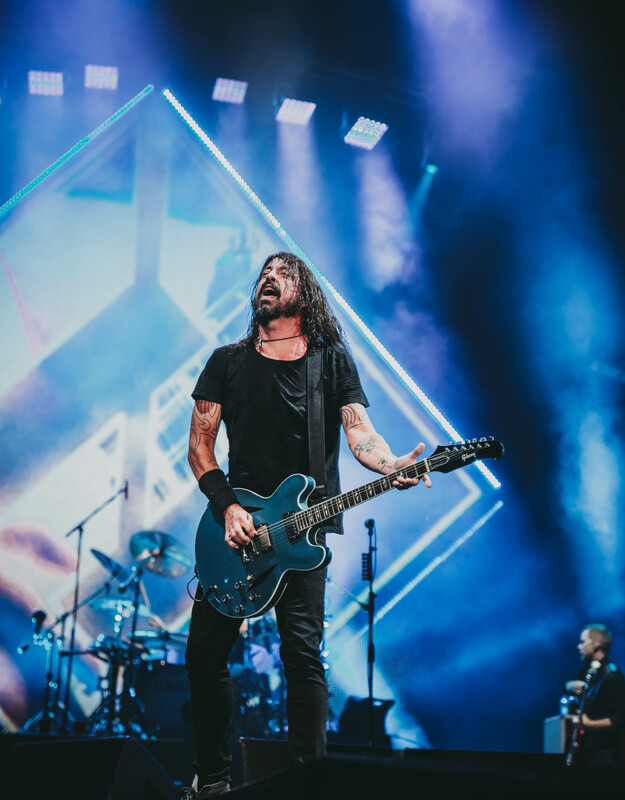 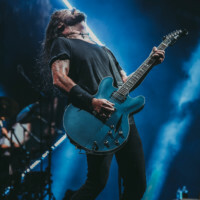 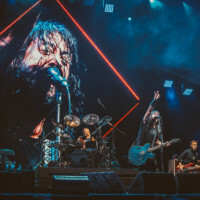 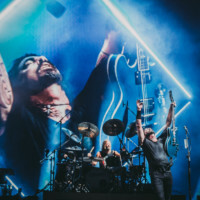 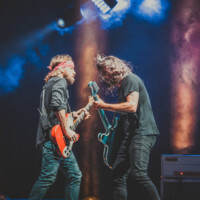 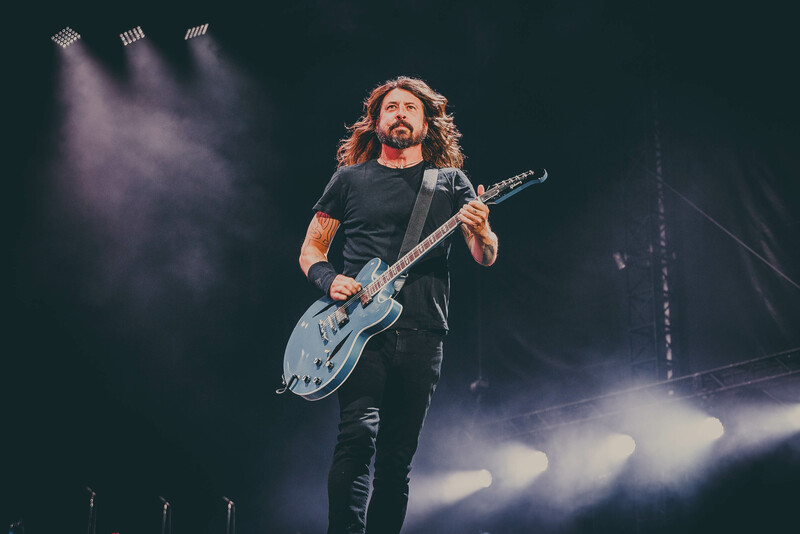 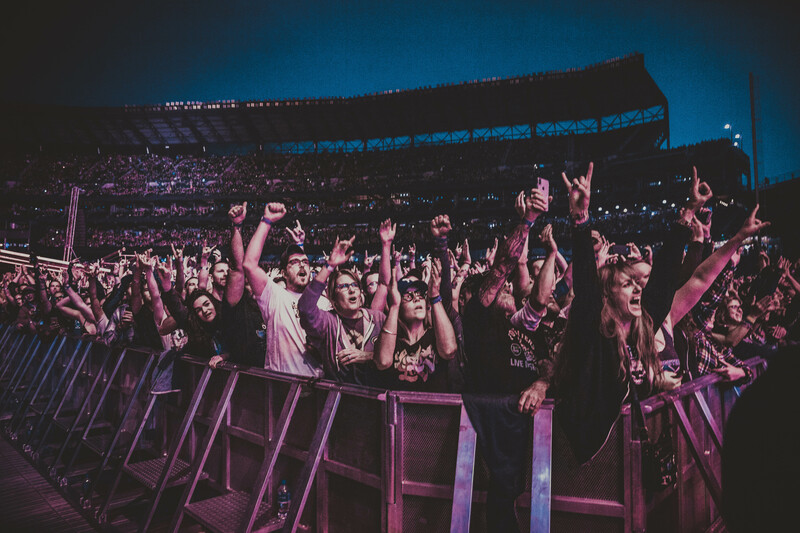 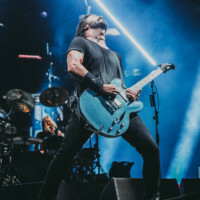 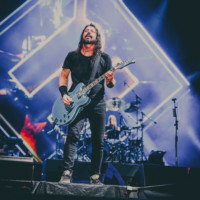 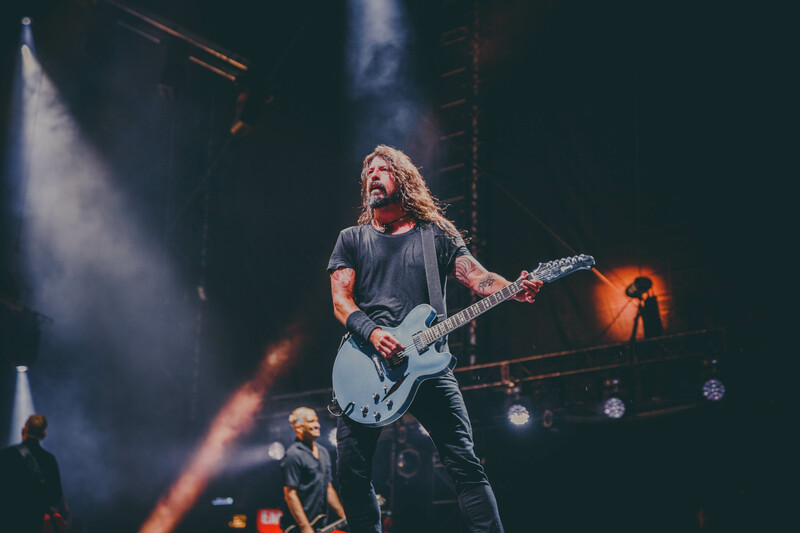 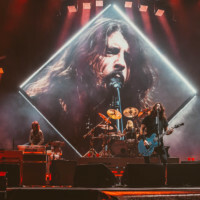 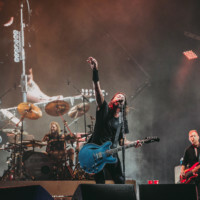 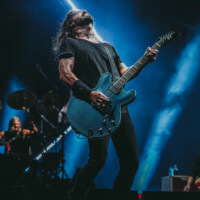 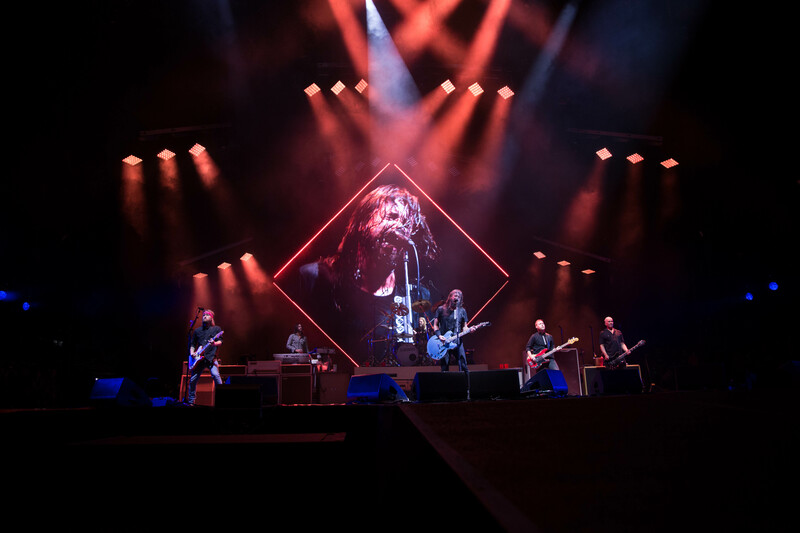 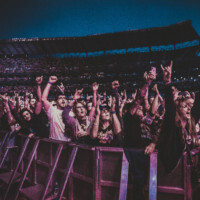 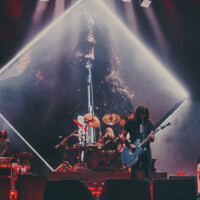 (home of the Seattle Mariners) While they didn’t break any records, Dave Grohl and friends electrified the Downtown core with three hours of Badassery. 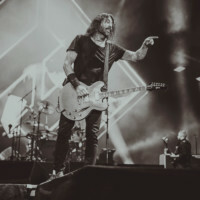 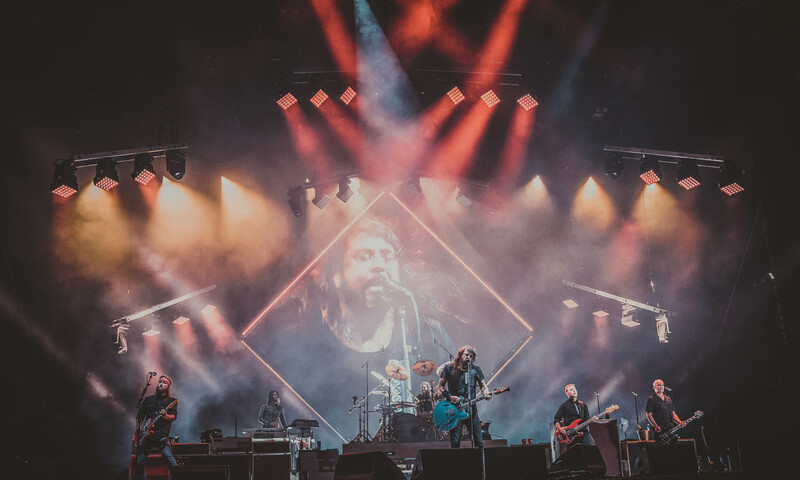 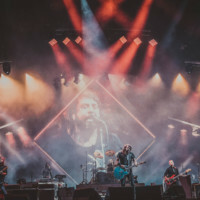 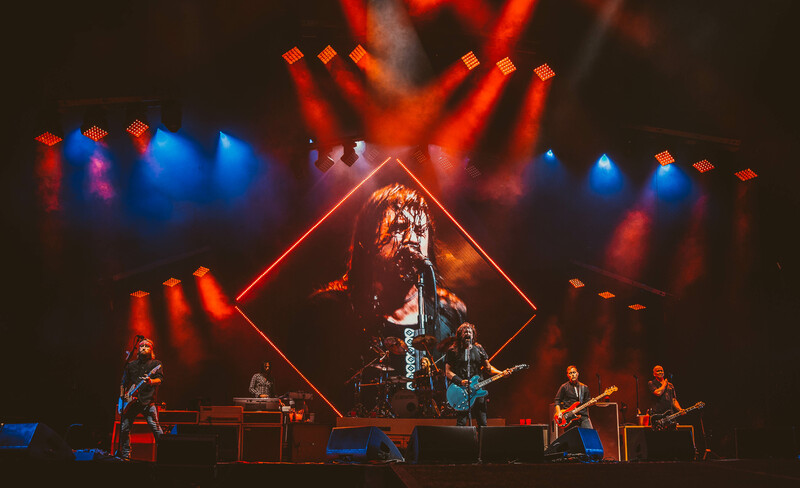 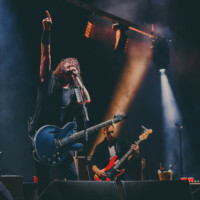 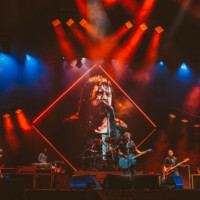 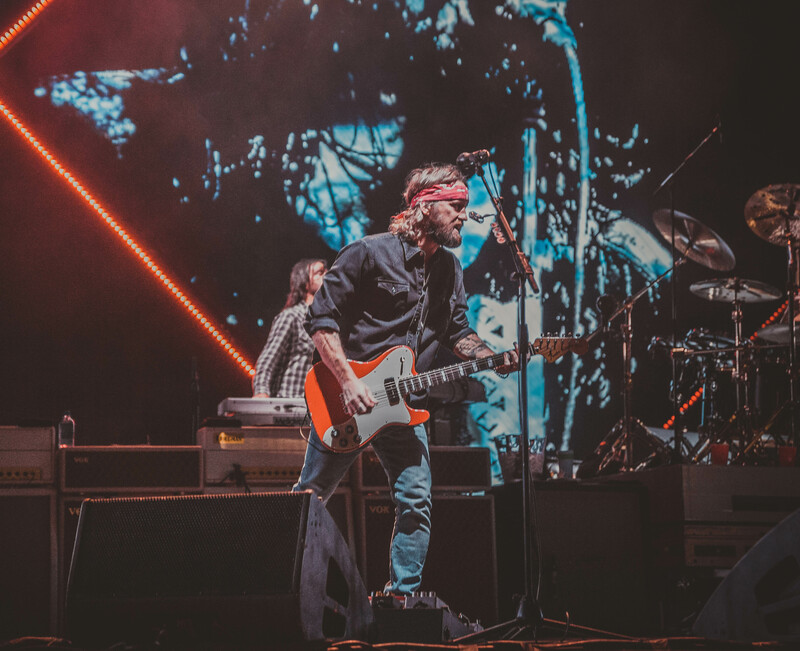 This not being my first encounter with The Foo’s, I had an idea of what may be in store for this very special occasion, With high expectations, I was escorted from the player club house to the front photo pit, as there was a nervous buzz in the chilly Seattle air. 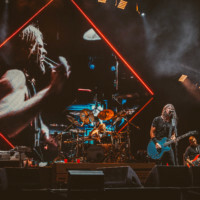 Finally with much anticipation the house lights went out, and the crowd erupted, as the lights came back on I found myself 10 feet from the greatest rock band of my generation. 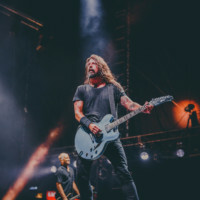 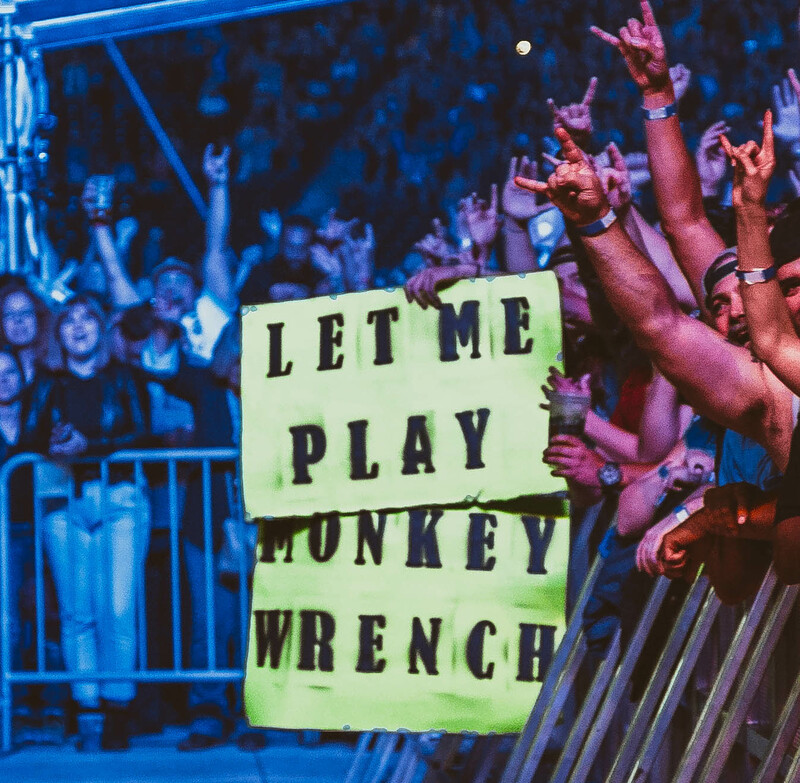 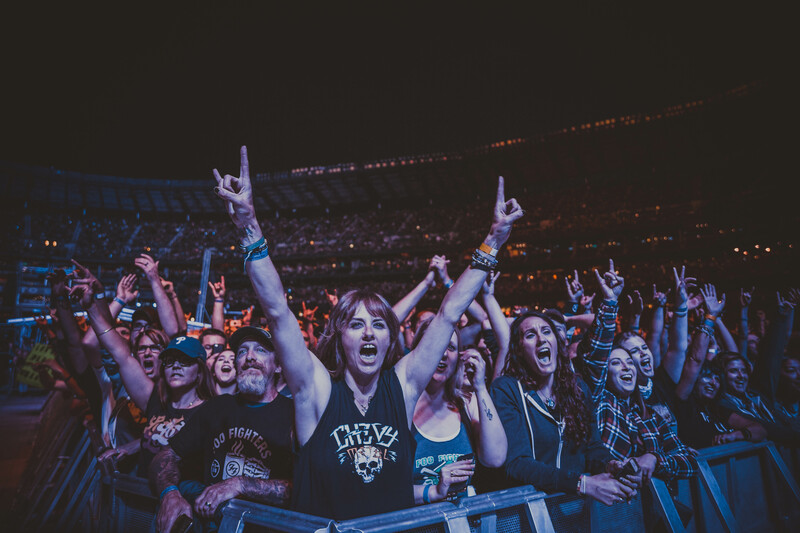 as Dave ran to the edge of the stage, we made eye contact for only a few seconds, but those moments will forever remain locked in time. 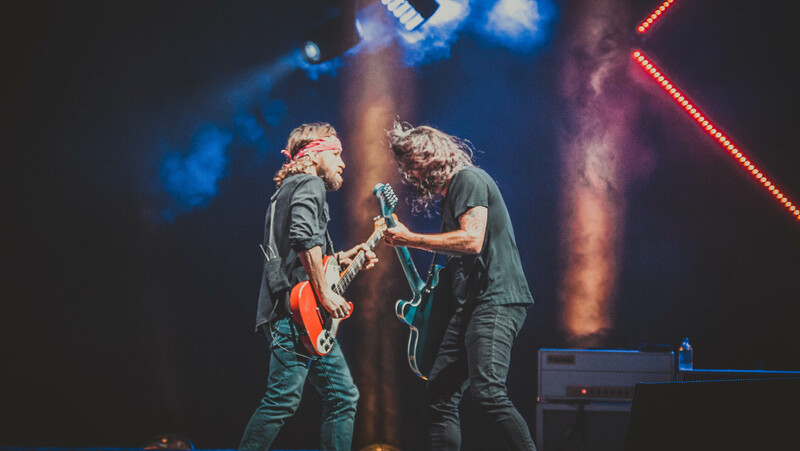 I was lost in the moment. 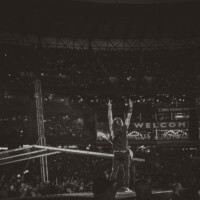 after I made my way to my seat, the show carried on, The Seattle strong were treated to all the hits! 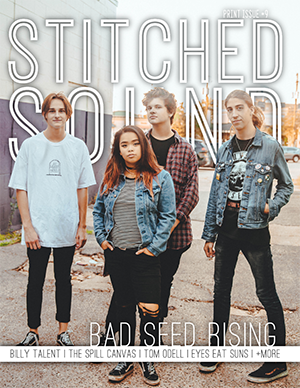 and some covers! 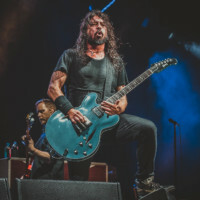 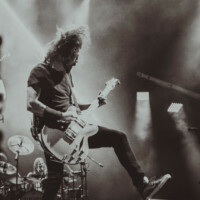 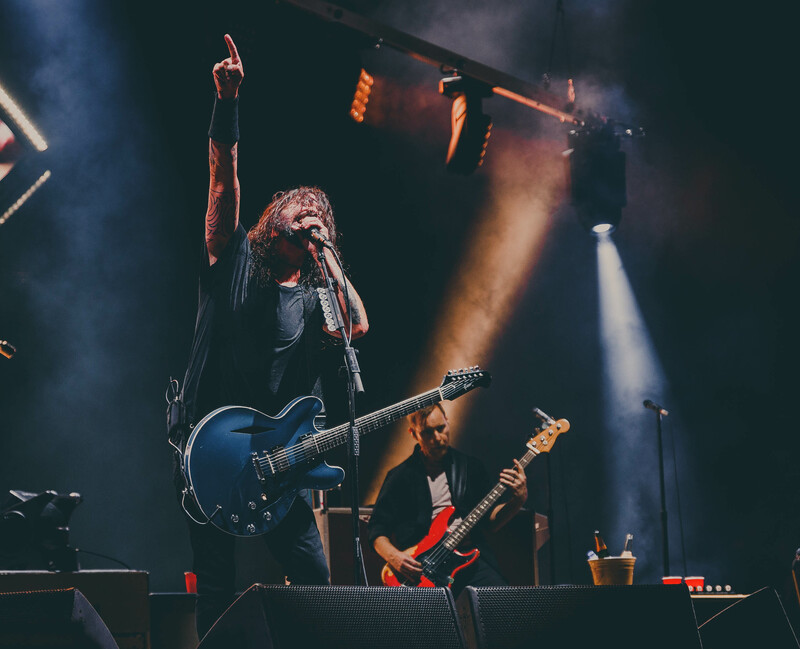 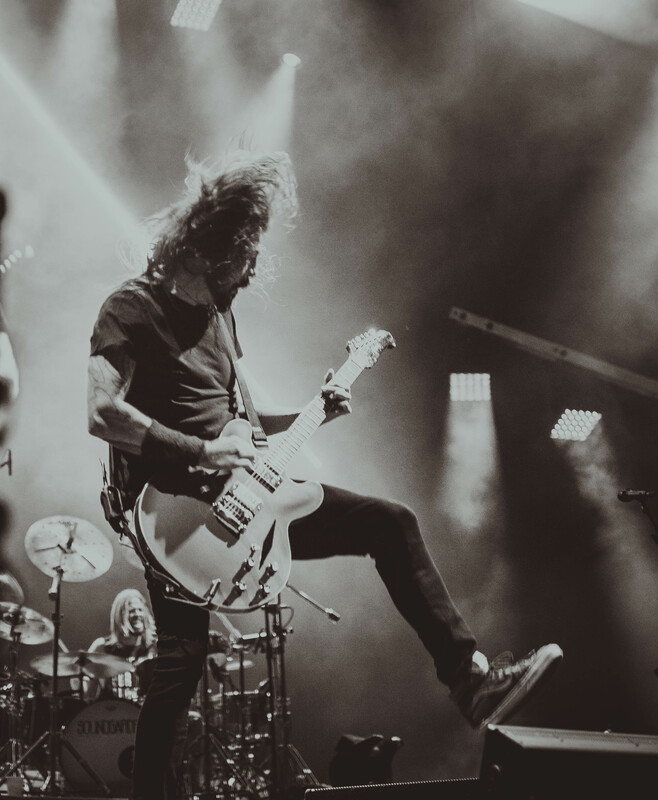 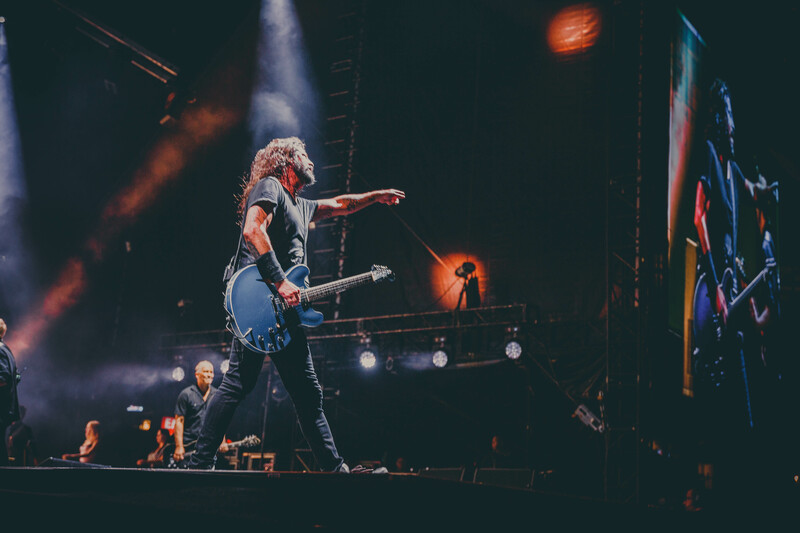 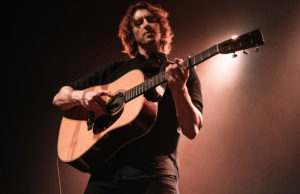 While its not a secret by any stretch, The Foo’s covered Queen, and The Ramones. 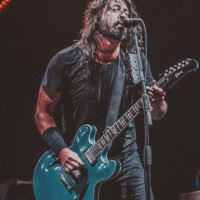 What was unique to the Seattle Audience was a song that Grohl hasn’t performed in quite some time. 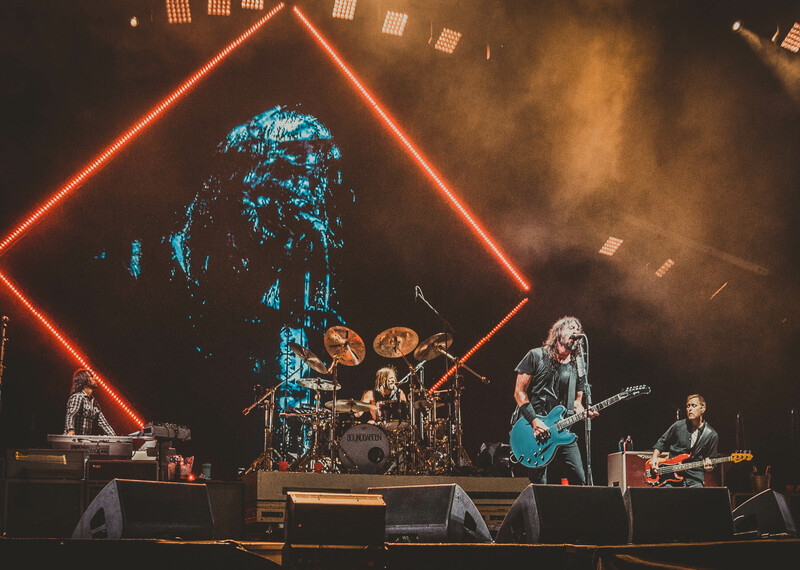 Joined by Surviving Nirvana member Krist Novoselic to perform Molly’s Lips. 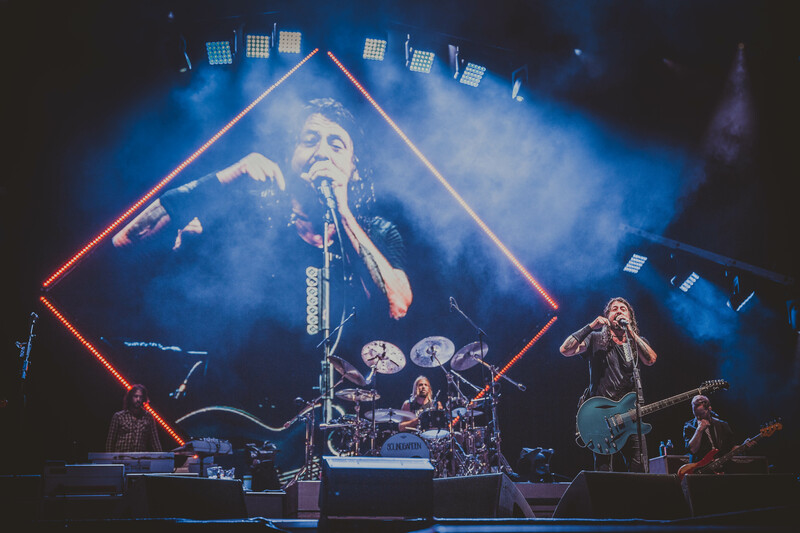 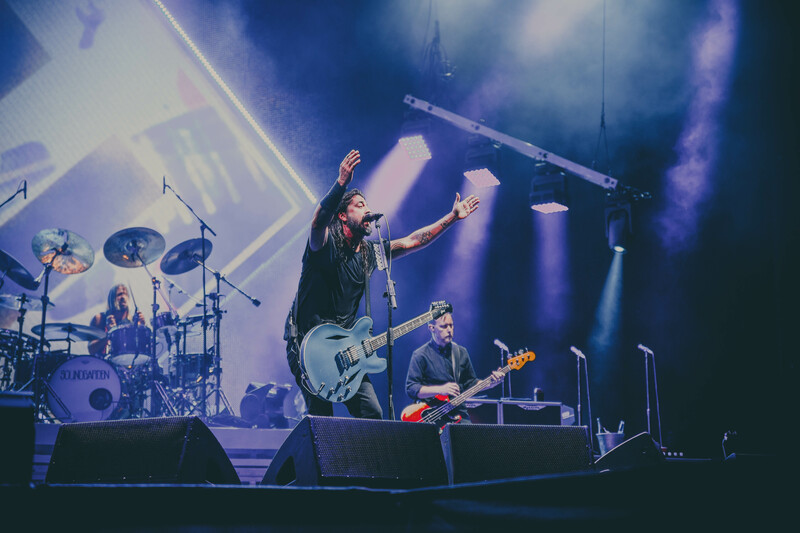 Unfortunately all good things do come to an end, and as the night concluded Grohl closed out the show with the infamous song, Everlong. 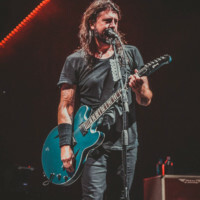 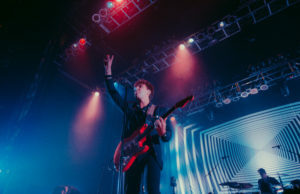 Following the show, I made my way with the droves of people to my car trembling profusely. 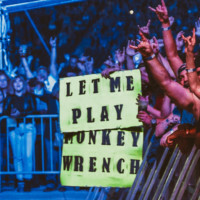 I had never experienced such a raw emotional event such as this. 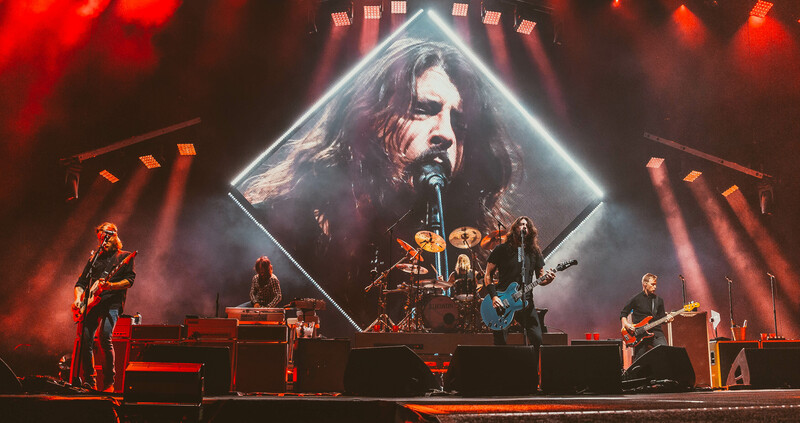 I drove out of the city, overcome with emotion. 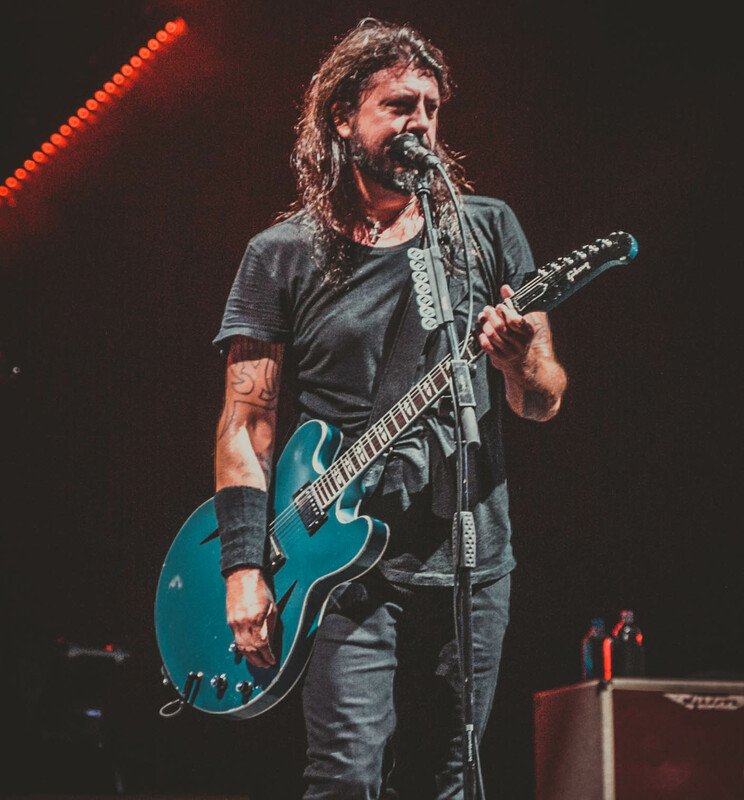 Smiling through some tears (happy ones!) 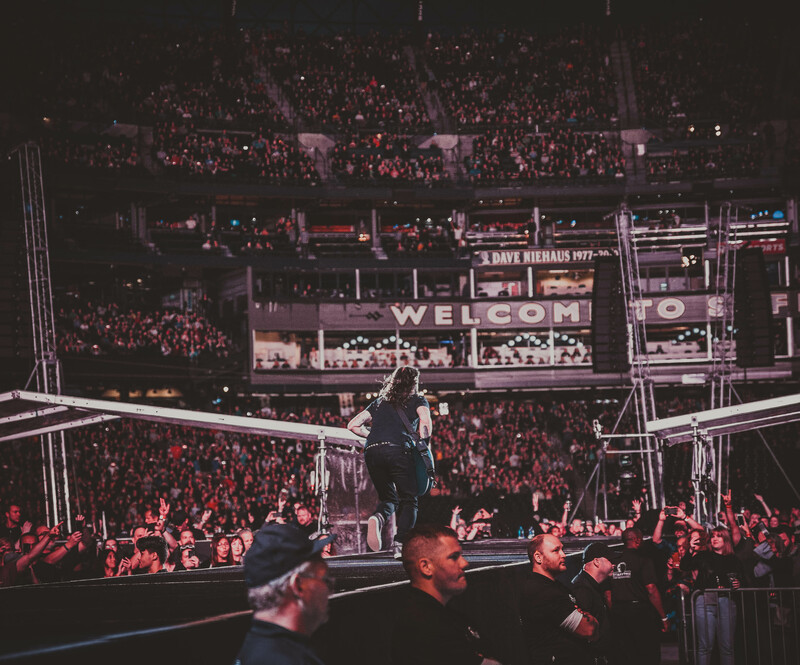 i made my way home having marked September first 2018 as a life changing event. 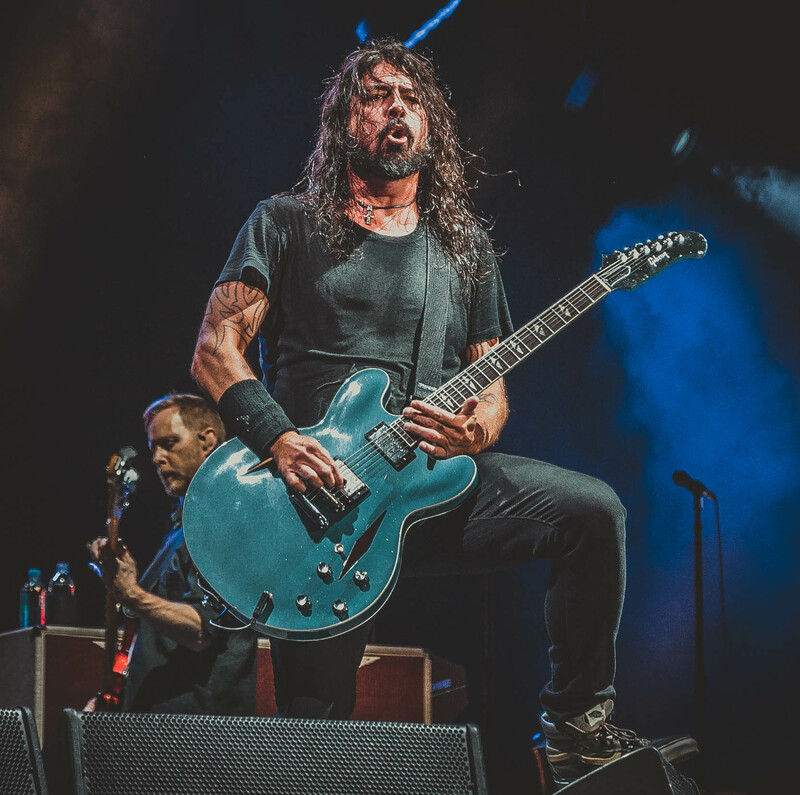 The Foo Fighters are the Harlem glove trotters of Rock and Roll, and everyone else is playing junior varsity basketball.